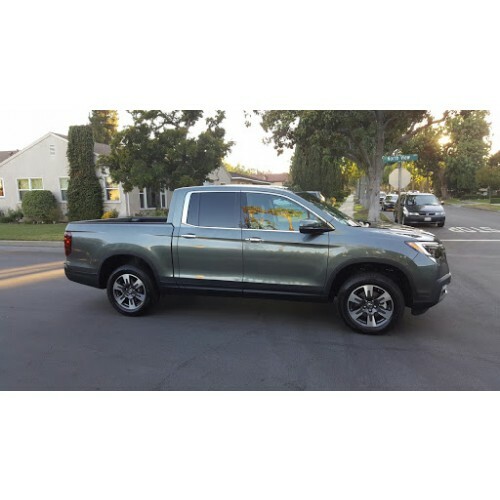 We have developed this new kit for the Honda Ridgeline, which addresses the changes between the ‘14 and ‘17 models. We improved the installation process and reduced the time required, as well as dealt with the new changes to the front suspension. There is a video on this page that goes more in depth on the differences. 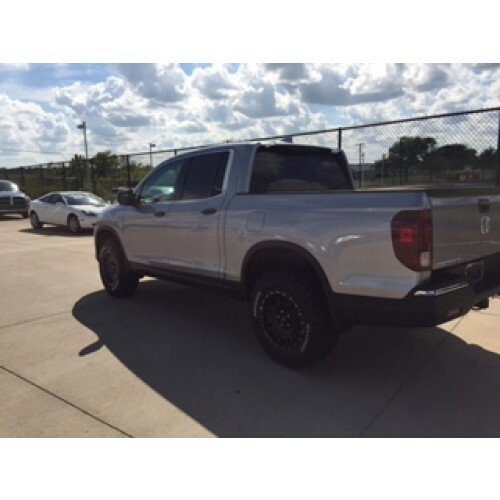 The new 2017 does not have a camber adjustment built in like the previous generation truck did. Even worse, you now have to move the control arm down 3 more inches just to install the kit! Don’t worry, we have a solution! To solve this we invented a strut spacer that has 2 degrees (+1/-1) of camber adjustment built in (patents applied for). 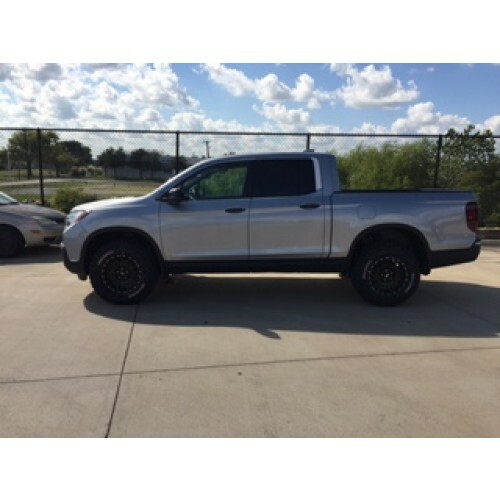 This overcomes the lack of adjustment on the ‘17 Ridgeline. It also makes installation easier! 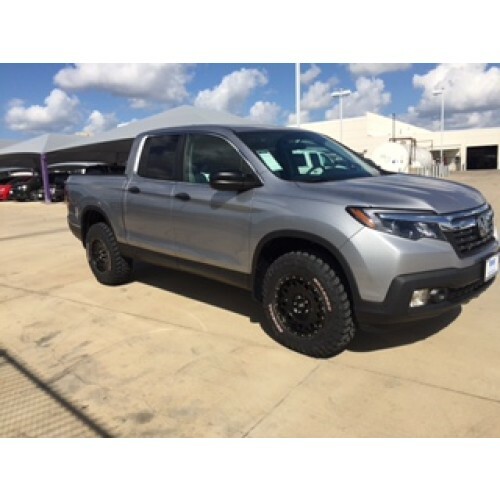 On the ‘17 Ridgeline the front axles can contact the bolts that hold the lower control arm in, so we have provided a spacer for that. As well, the sway bar links are replaced with shorter links so that the sway bar does not contact the frame at full extension. 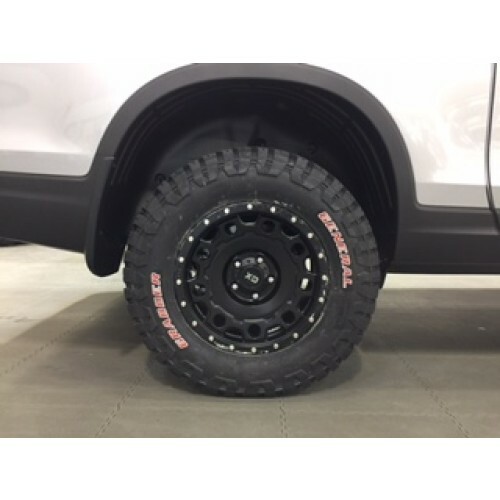 As always, it is important to note that there are millions of possible tire and wheel choices on the market, and not all 31” tires are the same size - rubber contracts differently from the molding process depending on how it cools and how thick the rubber blocks are. We can’t know all possible combinations! 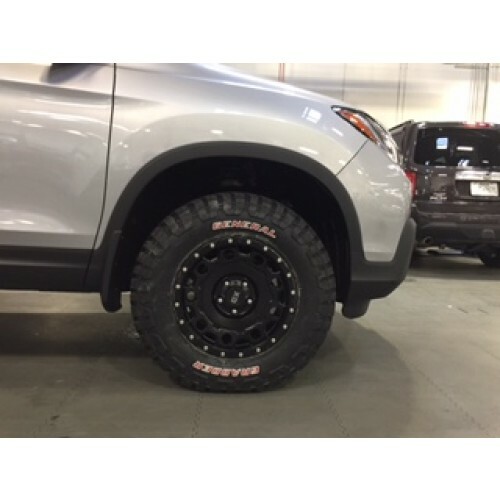 Our development truck was fitted with 265/65-18 (31.6”X10.4”) Nitto Terra Grapplers on 18”x8" XD Wheels with a +38mm offset. This combination did rub very slightly on that truck, most noticeably when backing up and turning left. If you want to avoid rubbing altogether, you will want to put a smaller tire on. 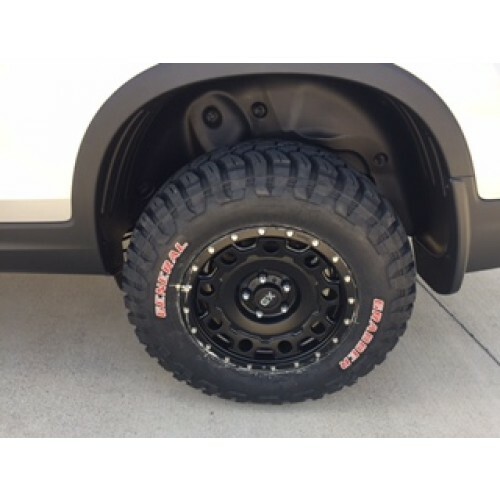 Another customer put 265/65-18 (31.6”X10.4”) Goodyear Duratracs with stock wheels (offset +55mm) and had some rubbing issues, which was reduced by trimming the plastic at the rear of the wheel well. It was further reduced by installing a wheel spacer to change the offset by 16mm. If you would like to avoid rubbing, stay under 31” tall and under 10” wide. This is general advice, please purchase tires after carefully considering your rub tolerance. Recommended installation time is approx 3 hours + alignment . Alignment is required to set Camber and Toe correctly. Traxda builds everything but the nuts bolts and hardware in-house. We have invested heavily in US manufacturing, using just-in-time processes and CNC machinery and robotic welding. 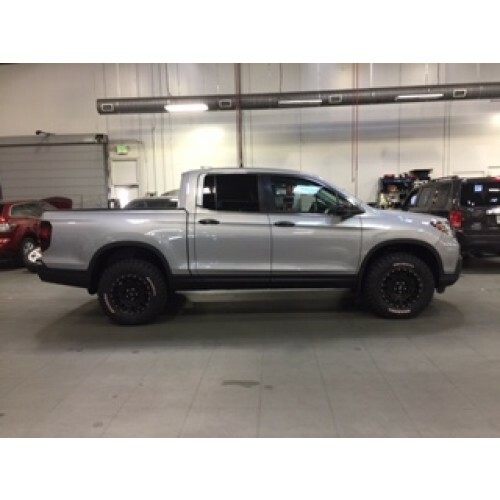 We use the best materials we can source to make our lift kits, and because we manufacture it ourselves we are happy to offer custom colors and lift combinations. Call 888-660-5892 to learn more. • Alignment specs included, CAMBER adjustment built in to Traxda kit!